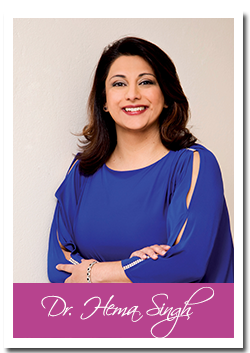 Dr. Singh is the founding member of Silhouette Aesthetic Centre, and the Centre operates at the Rivonia office/centre and consult on occasion special request at the Benoni branch. Dr. Singh began her medical profession in 1996. She studied at University of the Witwatersrand, where she completed her Bsc degree. She obtained her MB BCh. degree from the Medical University of South Africa. During this period, she developed an interest in Aesthetic Medicine and began doing extensive research into the worldwide medical techniques available to enhance one’s physical appearance. Dr. Singh has studied in Toulon, France, and was instrumental in bringing the technique of Laser Lipolysis to South Africa. She has also completed studies in Dermatology. At the outset, Silhouette Centre focused largely on the Laser Lipolysis treatment, with great success. 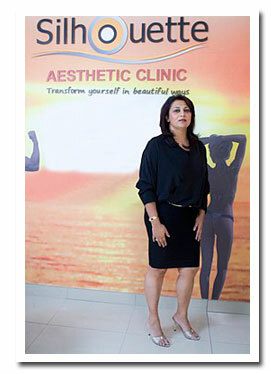 Dr. Singh trained in Nottingham, U.K., adding “Advanced Laser Lipolysis” to her achievements. The Centre has developed further beauty offerings, for weight loss, cm reduction, skin rejuvenation, medical procedures – gp, and beauty, offering a full spectrum of Aesthetic & Beauty services. In 2009, Dr. Singh completed training in Vaser Lipolysis under the tutelage of a U.K. Trainer. While still using Laser Lipolysis, with the advent of the ground-breaking system using Ultrasound, known as Vaser Lipolysis, the practice has moved to this far more effective treatment method. Dr. Singh has subsequently focused on the Vaser Lipolysis system, and is one of the few centres in the country to be using this revolutionary new procedure, and She has become a leader in the field of the Vaser System. During her career she also managed an emergency ward in a private clinic, which provided her with added knowledge and expertise in dealing with difficult situations effectively. In 2012 she received intensive training in 4 d sculpt .. ( the paragraph can stay the same ). In 2015 Dr Singh joined the European College of aesthetic medicine and surgery ( ECAMS ) in Bologna in Italy where she successfully completed training in her masters in body sculpting and fat transfer techniques. She has attained her certificate and diploma in aesthetic and anti ageing medicine with the American Academy of Aesthetic medicine. She has attained many certificates in integrative and anti ageing medicine under the tutelage of Dr Craig Golding. Trained with the world reknown trainers for Botox and fillers .